Actor Lou Ferrigno, the original “Incredible Hulk,” has been hospitalized after suffering “severe side effects” from a routine vaccination. 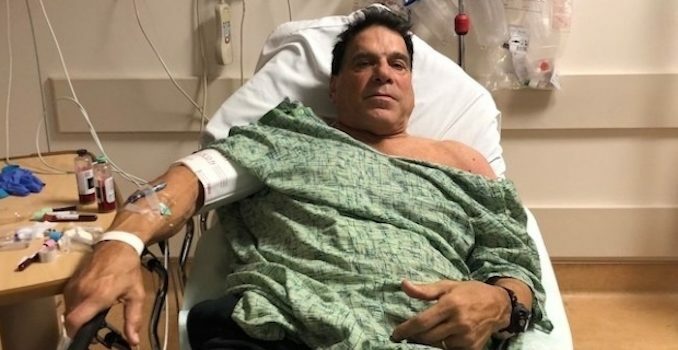 “Went in for a pneumonia shot and landed up here with fluid in my bicep,” the 67-year-old former bodybuilder announced on Instagram. “I’ll be ok but it’s important that you keep an eye on who’s giving the shot and make sure they not only swab the spot correctly but that you watch the needle come out of the package,” he continued. It’s unclear which type of pneumonia vaccine Ferrigno received — or where he received it — but he seems to be in good spirits. On Thursday, the proud papa tweeted to congratulate his son, Lou Ferrigno Jr., on nabbing a role as Hourman in the DC “Stargirl” series. Next Next post: Republicans are mad at Google for search bias—will they do anything about it?